Economic globalization is the trend of the times, and efforts should be made to safeguard global free trade and the multilateral trade system, China's Ministry of Commerce (MOC) said Thursday. The combined GDP of the G20 members accounts for 86 percent of the world's total, while their trade volume accounts for nearly 80 percent of global trade, Gao noted, adding that China hopes to conduct sincere, in-depth and constructive dialogue with all members on international trade and other issues. In response to the China-U.S. economic and trade issue, Gao said that teams of the two sides are in contact to push the implementation of the consensus reached by the presidents of the two nations. 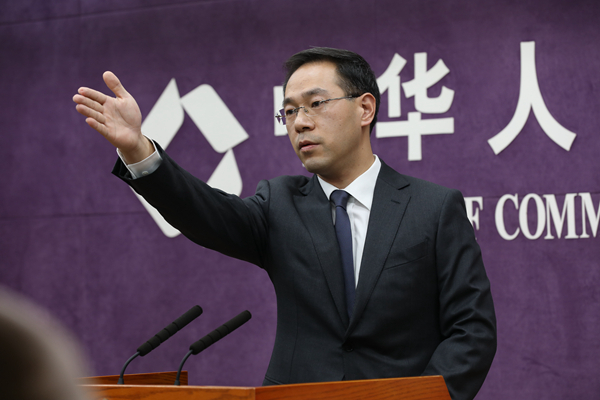 ​Economic globalization is the trend of the times, and efforts should be made to safeguard global free trade and the multilateral trade system, China's Ministry of Commerce (MOC) said Thursday.